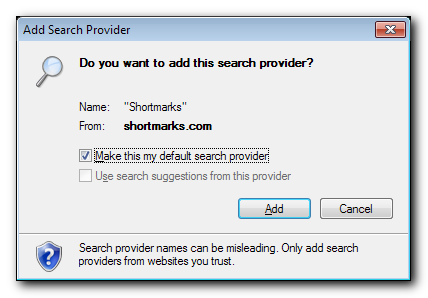 Clicking the button above is the easiest way to add Shortmarks as a search engine, but it doesn't work in all browsers. It should work in newer versions of Firefox, Internet Explorer 9 and Chrome. If not, follow the instructions below for your browser. 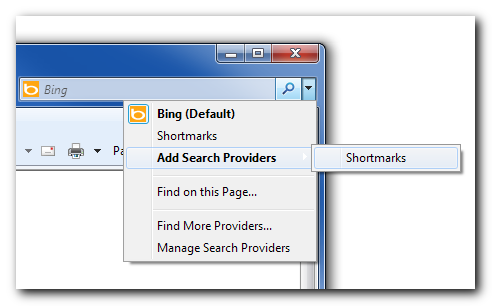 Log in to Shortmarks, then perform a search in the search box. 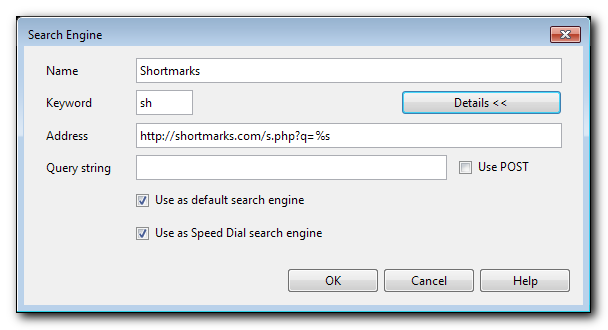 Go to the browser settings and find the 'Search Engines' section and Shortmarks should be one of the available options below the default set that comes with the browser. 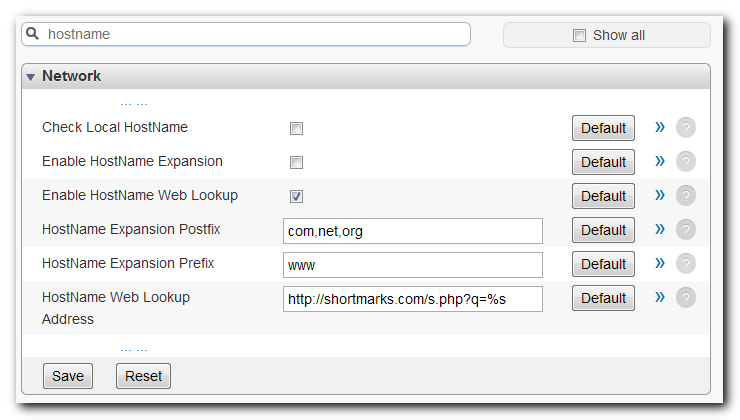 Browsing to http://shortmarks.com should automatically add Shortmarks as a search engine. Note: Searches from the address bar may have a slight delay because Firefox performs a DNS lookup before deferring to Shortmarks. If a host matches the name of a keyword, the keyword search won't work. The search field doesn't have this issue, but you can also use the search engine keyword in the address bar, like "s news". If one word searches fail, Firefox help has some suggestions. 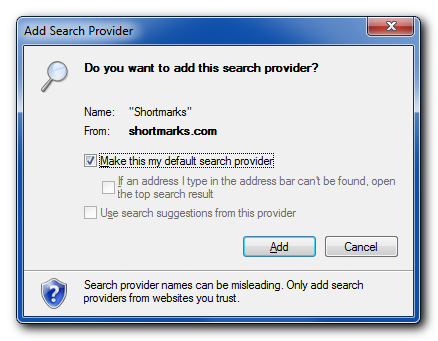 Do you want to add this search provider? Use the Automatic method at the top of this page (click the button). Check "Use as default search engine" and "Use as Speed Dial search engine"
To avoid the delay when you use one word searches, type opera:config in the address bar and press enter. Check "Enable HostName Web Lookup"